What do you get when you add timeless sophistication and modern chic? Why, the gorgeous collections of Phillips House of course! 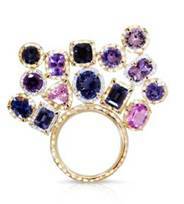 Since the launching of their line in 2010, Phillips House has become a breakthrough name in jewelry design; its available in nearly 50 stores in the US, including SAKS, Louis Anthony and Orr's Jewelers right here in Pittsburgh. The intricately crafted baubles of Phillips House has caught the eye of publications such as Women's Wear Daily, Harper's Bazaar, Elle, Vanity Fair, Oprah and Glamour. 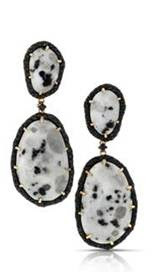 Phillips House pieces have also been spotted on some of the biggest names around: The First Lady of the United States, Michelle Obama, chose to wear a pair of Phillips House earrings to meet with Queen Elizabeth II, Duchess Kate Middleton, and the Royal Family in 2011. The jewelry has additionally become a favorite among other celebrities such as Zooey Deschanel, Lauren Conrad, Kerry Washington, Erin Wasson, and Mamie Gummer, among others. Lisa (maiden name Phillips) and Danielle Frankel, are the masterminds behind the Phillips House line. The mother and daughter began their line in Miami. Lisa has been an artist her whole life and Danielle is a ballerina turned fashion student. Lisa's artistic eye mixed with Danielle's knowledge of fashion, has helped them create a dynamic collection that is modern and timeless all at once, and leads rather than follows the fashion trends. 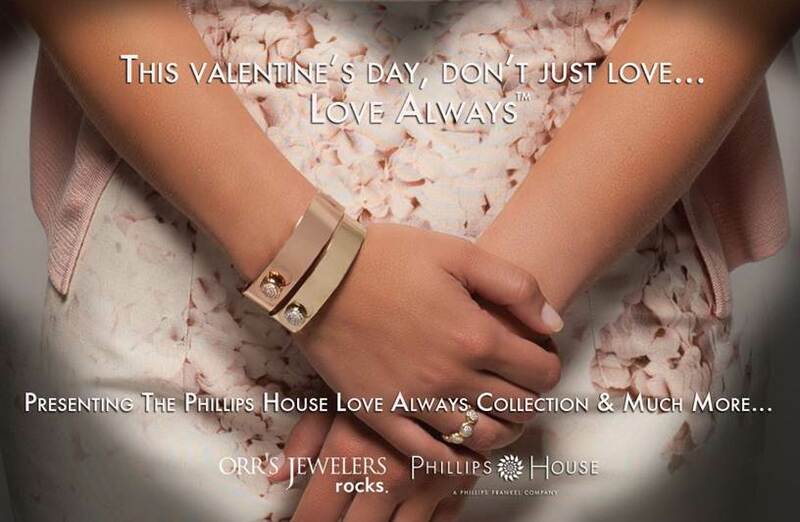 Just in time for Valentine's Day, Phillips House will be hosting a trunk show at Orr's Jewelers this Saturday, February 9th in Squirrel Hill from 9:30am - 5:30pm. Take a peek at their lovely collection including the new "Love Always" collection which holds sentimental value to the Phillips House collection. 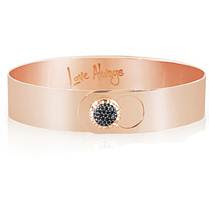 TPL: Where did your draw your inspiration from for your "Love Always" collection? PH: Growing up in Boston, Lisa’s mother used to stop her at the door to button up the top button of her coat before sending her off to school. Lisa and Danielle wanted to create an iconic bangle that any woman could wear, and put on herself. The “button” concept held such sentimental meaning that they created a proprietary button closure, which can be worn by everyone. The personalization on the inside is another nod to the sentimentality. TPL: What makes your collections unique in the industry? PH: The two designers – Lisa and Danielle Frankel – get their inspirations from very different places, and as a result, the collections offer a range of appeal and design aesthetic, from classic and traditional to chic and sophisticated. Moreover, despite being a newer brand, we strive to focus not only on purely design but also on craftsmanship and functionality, so that the wearer can feel a collectability with their Phillips House pieces. 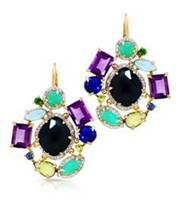 TPL: What kind of person wears your jewelry? PH: The fans of our jewelry are often described as classically chic women who are excited to discover something new and exciting, while sophisticated, in the fine jewelry space. 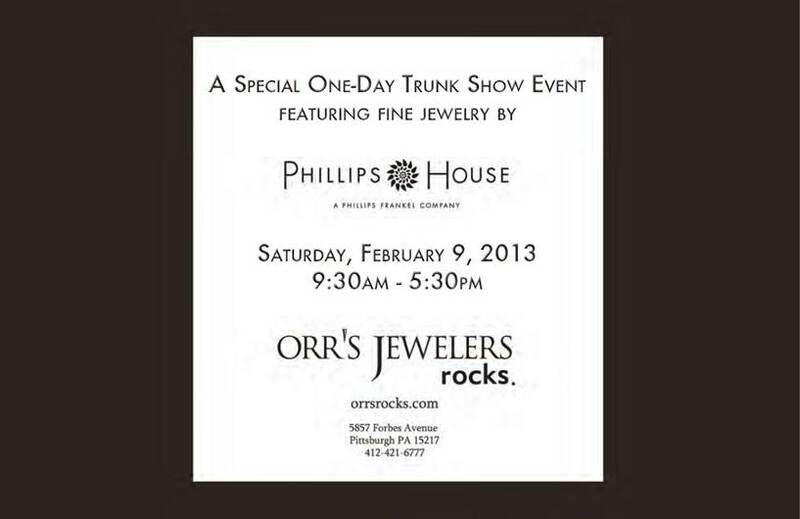 JOIN ME AT THE TRUNK SHOW THIS SATURDAY THE 9TH AT ORR'S JEWELERS IN SQUIRREL HILL!! VISIT Phillips House website HERE. FOLLOW Phillips House on Facebook HERE. SAY HELLO to Phillips House on Twitter HERE. CHECK OUT Phillips House on Instagram HERE. 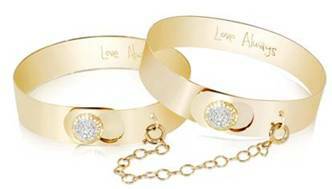 You have read this article Lisa and Danielle Frankle / Love Always by Phillips House / Orr's Jewelers / Phillips House / Pittsburgh jewelry stores with the title Monday Spotlight | Fall in Love with the Phillips House Collection. You can bookmark this page URL http://afreakatheart.blogspot.com/2013/02/monday-spotlight-fall-in-love-with.html. Thanks! No comment for "Monday Spotlight | Fall in Love with the Phillips House Collection"